BMW Japan decided to launch a couple of special edition models this year, to celebrate the company’s centenary. The eight car in this exclusive line-up is a BMW 330e plug-in hybrid. Dubbed ‘BMW 330e Celebration Edition’, the limited-run 3 Series will be joining the similarly exclusive M6 and i8 we showed you yesterday. Just like its ‘bigger’ brothers, this special version of the 330e also comes with a couple of interesting features. First of all, you’ll notice the Tanzanite Blue exterior paint that comes courtesy of the BMW Individual range and matches the car’s Luxury Line exterior perfectly and the 19″ Individual wheels. Inside the cabin you’ll also find more options from the Individual catalogue, such as the Merino white leather and Piano Black trims that adorn the dash, door panels and center console. 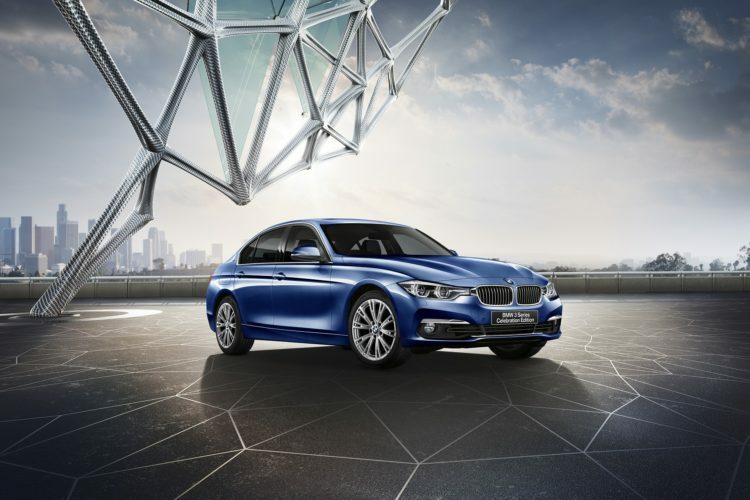 Other options included in the package are the Harman/Kardon sound system, BMW Head-Up display and dedicated interior badging that tells the world this is one of only 100 BMW 330e Celebration Edition models ever built. Underneath the sheet metal, the specs remain the same. Under the hood you have a 2-liter 4-cylinder turbocharged petrol engine making 184 HP and 290 Nm (214 lb-ft) of torque working in tandem with an electric motor encompassed within the gearbox housing, making up to 88 HP and 250 Nm (184 lb-ft) of torque. Unfortunately, the two can’t deliver the full might of their performance at the same time so the total output of the car is rated at 252 HP and 420 Nm (310 lb-ft) of torque. Even so, you should be able to cover up to 40 km (25 miles) on electricity alone, at speeds up to 75 mph (120 km/h) which is more than enough for your daily commute, according to BMW that claims to have created this car after thorough research regarding how long a daily commute actually is around the world. The pricing for the anniversary vehicle starts at 6,780,000 Japanese Yen which translates into roughly $61,000. 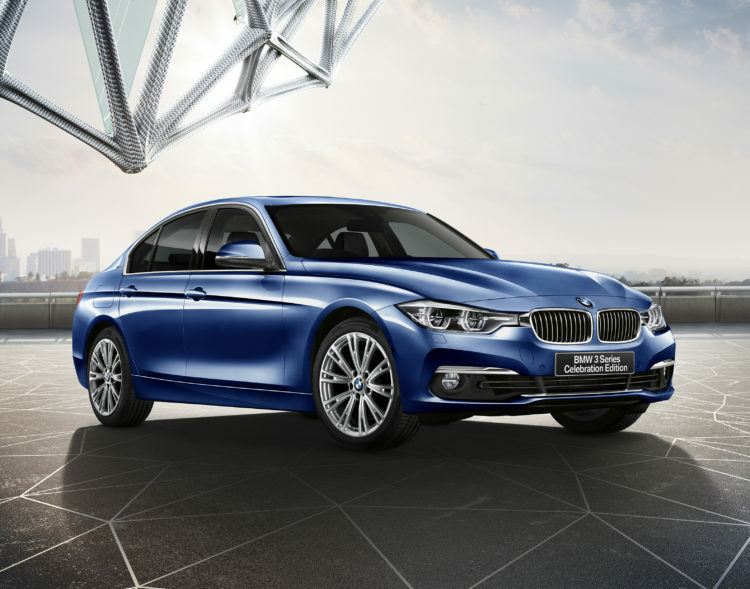 Sales of the BMW 330e Celebration Edition will kick off on July 9. Next post All aboard the BMW 8 Series hype train?